If you recall season five of Top Chef, you’ve probably seen Alex Eusebio in the first four episodes. 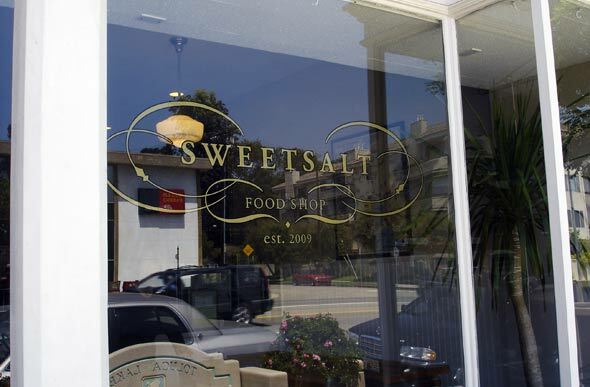 A number of ex Top Chef contestants have opened their own successful eateries, which seems to be a common, logical pattern, e.g, Grub in Hollywood, The Gorbals in downtown LA—and now, Sweetsalt in Toluca Lake. 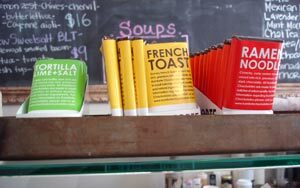 Sweetsalt is a new gourmet sandwich shop that Eusebio (trained in French and Spanish cuisines) opened with his wife, Sara Mann, at the start of 2010. It can be described as small and charming with a rustic and no-nonsense appeal with long lunch lines and only a few tables to spare. Tucked in between several shops along the Riverside Drive strip next to Burbank, it’s a stone’s throw away from I-think-it’s-worth-trying Malbec Argentinean restaurant and Yuzu Sushi. It’s a strip where locals and media industry people like to frequent since the Warner Bros. and NBC Studios are close by. Getting to the thrust of what this review is really about, I tried the highly popular Braised Short Rib sandwich that garnered the chef many praises on Yelp. To my disappointment, it didn’t meet my expectations. The stringy beef was tender and moist but lacked some flavor at the time of my review. It was good, but not wowing, though it’s still worth a try. (Maybe it’ll be different another day.) 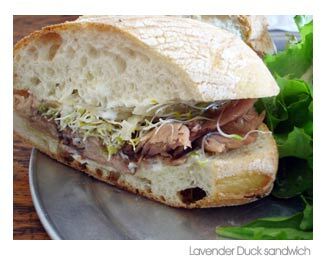 Instead, the Lavender Duck sandwich fared much better. It was deliciously sweet and savory, just like the shop’s name, which included duck confit, alfalfa sprouts, onion confit, goat cheese and lavender honey. The Grapefruit Truffle salad is also a good option if you’re looking for a light refreshing meal. It included red ruby grapefruit and navel orange pieces, crunchy braised pancetta bits, shaved sottocenere cheese slices and wild mushrooms all lightly tossed with citrus truffle vinaigrette dressing. They’ve also got an array of olives, cheese and pastries on sale, not to mention their interesting next-to-the-counter items like the Komforte Chockolates that have flavors like tortilla lime and salt, French toast and ramen noodles. I decided to go with the Ramen Noodle bar with 53% dark chocolate. It was two thumbs up for me, though they could’ve added more noodles to crunch on. Born in Madrid, raised in the Dominican Republic and New York City, Alex Eusebio wasn’t always a chef. 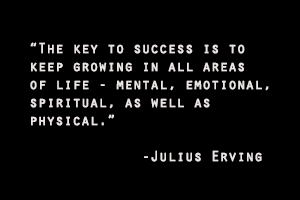 What he did before couldn’t be more opposite and surprising. In an interview on Huffington Post’s Chef Speak column, Eusebio revealed that before becoming a chef, he was an FX trader on Wall Street working for Lehman Brothers at the World Trade Center until August 2001. He quit his stressful job and decided to go to culinary school, which was exactly a month before 9/11 happened. The moral of the story? He boldly followed his dream, which also saved his life on the way—not only physically, but also emotionally and professionally. I love their food, but you know they’d be even cooler if they’d stop using plastic carryout, there are companies that make biodegradable carryout containers. They refuse to use them,say it’s too expensive, I think they are just too wrapped up in profit to care about the environment. Will seek a place that is less about their feelings and sob story.